How to clean and care for your mattress set. Purchasing a new mattress set is a large investment and can provide you with many years of use and comfort. Every mattress requires maintenance and care and you should always refer to the specific instructions that are recommended by the manufacturer. Below we have listed the basic procedure for cleaning and caring for you mattress and will help you get the most out of your new mattress set. Using a mattress cover is a highly effective method of increasing the lifespan of your mattress set. Everyone releases sweat and oils as they sleep that can seep into the mattress and cause damage, the use of a washable mattress cover will allow you a cleaner better smelling mattress set over the long run. Turn or flip your double sided mattress every month for the first six months of its life then once every six months there after. Rotating and flipping allows your mattress set’s padding to settle uniformly allowing for maximum comfort. 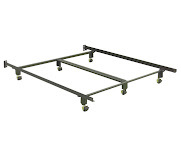 Be sure to use a high quality bed frame to support your new purchase. It is not only a recommendation for the best performance of your mattress set but for many manufactures not using a frame can void your warranty. Make sure the frame you purchase comes with a center support if it is to be used with a queen or king size mattress set. You should never ever bend an inner spring mattress set. The internal coils are made of metal and can become bent and permanently damaged. Anyone who has ever lifted an old mattress set will note that it is almost twice the weight than when it was originally purchased. That additional weight is due to years of accumulation of dust and dander. The best solution is to regularly (and carefully) vacuum your mattress with the upholstery attachments to remove as much of the buildup as possible. This will help the weight but will also help with common problems such as allergies. The padding that is found in pillow tops and in your mattress is a delicate foam that can (and will) melt if an iron is used on top. Use an upholstery shampoo or a mild detergent and cold water and apply lightly. It is important to dry the mattress as quickly as possible.